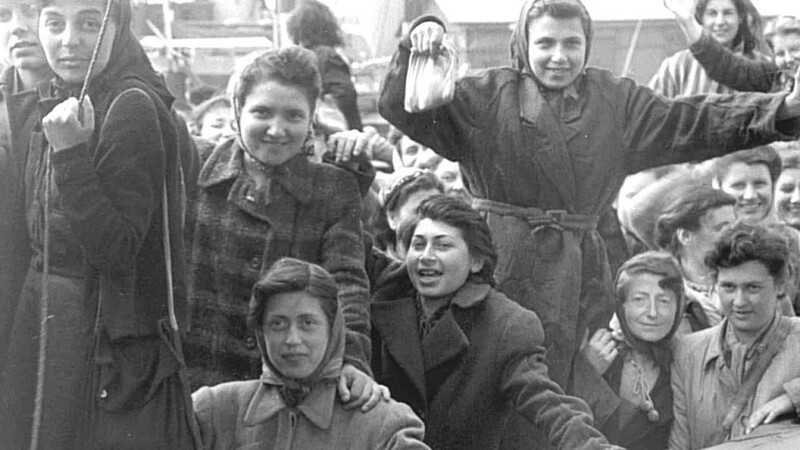 Director Magnus Gertten tracks down and interviews survivors from German concentration camps seen in a 35mm archival film reel showing their arrival at the harbor of Malmo, Sweden, on April 28, 1945. The group includes Jews from all over Europe, Norwegian prisoners of war, Polish mothers and children, members of the French resistance and British spies. Set against this background is today’s footage of refugees crossing the Mediterranean to a new beginning in Europe. In the archive film they are anonymous faces in large crowds of refugees, but they all have a name. And they all have a story to tell. Stories about escape, survival and starting life again. Just like the many stories we hear about refugees in Europe today. While they take their first steps in freedom Swedish news photographers film them. Now, 70 years later the survivors are watching this archive footage for the very first time and as they discover themselves they re-experience the emotions from this special day. Recently nominated for the Swedish Academy Awards in the Best Documentary category.